Two different Christina weblog-related updates. First, she posts here about an unfortunate incident from last night. Second, I have added a number of her old e-mails from the road to her travel blog. As I've noted previously, George has a habit of seeing one movie per year. This year, he selected Riding Giants, which he, Martin and I went to see last night at the Landmark Bethesda Row theater. Martin and George have a bit more familiarity with surfing (the subject of the movie) than I do, given that they have, well, surfed. We walked into the theater just as the trailer for Maria, Full of Grace was playing. It's in Spanish, and it's about a 17-year-old from Colombia who is a drug courier. I'm really not sure what the expected audience overlap is between that and a surfing movie. That was followed by a trailer for Danny Deckchair, a movie about a guy who goes up in the air in lawn furniture. It seemed both better and worse than you'd think, if that makes any sense. "Riding Giants" focused on the sport (pursuit?) of "big wave surfing". They said it often enough during them movie that it seemed to become one word -- bigwavesurfing. I eventually realized (remember, I'm the one not entirely familiar with surfing) that there were (at least) two types of surfing -- bigwavesurfing and "performance surfing," which was mentioned once, briefly. Bigwavesurfing centers around riding really big waves. 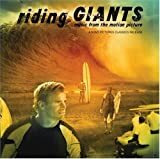 "Riding Giants" covered the subject from the pioneers in the 1950s to the advent of "tow-in" surfing in the 1990s. The hardest part of surfing a big wave is catching it, and by towing the surfers in with a jet ski, they can ride much bigger waves than anyone ever imagined. The part from the 1950s involved old home movies, and it was an interesting glimpse into a long-gone era of surfing -- evidently Gidget was soon to cause surfing to explode in popularity. The part from the 1990s started out technically interesting. But as you can imagine, catching bigger and bigger waves gets more and more dangerous as you wipe out, and the movie contained a lot of surfers ruminating on the Nature of Death and the Nature of Danger. That dragged a bit. Christina and I went to the Mayan art exhibit at the National Gallery on Saturday. If you're interested in that, I recommend that you read her post on the subject. After we saw the exhibit, she bought me Maya Madness, a game. On Sunday, the gaming crew used it as an opening game. It's a fairly straightforward game. Everybody gets a secret number. Then you play cards, ranging from +5 to -5, in an attempt to move the running "count" to your secret number. If you are the first to do it five times, you win. There are a few other types of cards that allow you to skip another player, reset the count to zero, or make the count negative (and reverse the order of play). I think the most suprising thing is that the count would end up in the negative twenties, despite the fact that all the target numbers were positive. It's a pretty good game to start out, since there's not a lot of skill involved, and with the rule that the winner picks the next game, it gives everyone a more or less equal chance. It's also pretty quick. Ben won that game, and selected for the next game Bohnanza, a game that I had picked up on Friday at Hobby Works. It's a card game based on collecting sets of bean cards and redeeming them for "gold". There are a few twists that help make it interesting -- you're forced to "plant" the beans in a limited number of spaces, so sometimes you have to throw away cards you want to plant other cards. Also, you're not allowed to rearrange your hand. You can avoid this by trading away cards. In the end, I finished 1 gold ahead of Ben and Doug, and 2 ahead of Paul. It was a very close game. I selected Robo Rally for our next game, specifically Random Robo Rally. We ended up with only the Cannery Row board, six flags and the "Hidden Flags" variant. It was a very violent game -- Ben touched flag six a few phases before I would have lost my last robot. Paul got to flag five, and Doug to flag four. I had only recently touched the second flag, but got toasted trying to interfere with Ben's victory. Ben selected the Buffy the Vampire Slayer game. It seemed like a good week for that, since George wasn't there, and he usually vetoes it. Let me summarize the game from my perspective. I controlled Oz and Xander. Oz ran over to the corner, failed to pick up the artifact, turned into a werewolf, attacked Adam (the main bad guy), then got killed. Xander ran over to the corner, failed to pick up the artifact about six times (in theory, these were 50/50 shots I was missing), finally picked up the artifact and found out that it was really lame. Using the artifact, I attempted to destroy the artifact, but I failed, despite having a 75/25 shot. Then Buffy died, and the game was over, leaving Ben (playing Evil), once again, the victor. We played a couple of more games of Maya Madness to round out the evening. Here's something to amuse yourself (or keep you up way too late). Yahoo! has a site available where you can listen to various pop songs turned into cell phone ring tones. Now, this is not compatible with my cell phone, but my interest in this is tied to a morbid fascination with which songs sound awful. Also, with which artists have sold out to the ring tones. I suppose it's possible that the ring tone people don't have permission, and are just paying royalties to the song's writers. But then how do they use the artists' names? The Clash's Rock The Casbah sounds suprisingly awful for such a great song. It turns out you're much better off with Should I Stay Or Should I Go. REM's The One I Love -- not so recognizable, but Stand is unmistakable. And who could resist The Dreidel Song? Last Sunday, Ben, George and I played six games of Robo Rally in a time where we would usually only be able to play one or two. How did we do this? In a large part, due to a random setup. We ordinarily devise a fairly complicated placement of flags to ensure a good game. 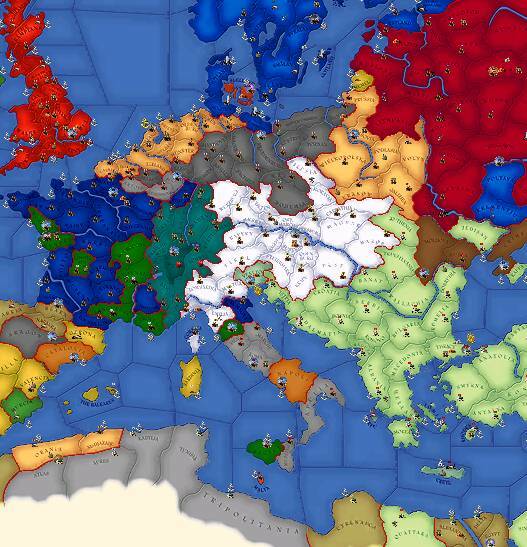 This time, we just determined the starting positions randomly. It produced a greater variety of types of games. 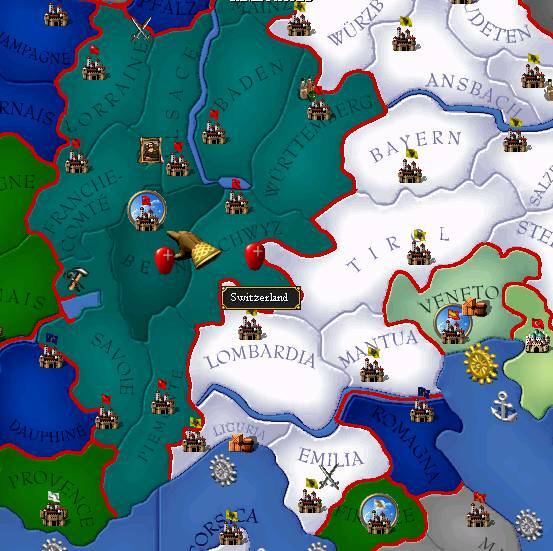 For example, knowing that the only flag is one or two turns away from the starting position results in a mad scramble. With that in mind, I've written up Random Robo Rally Setup Guidelines to codify what we came up with. I'm hoping to circulate them for comments. My father had a letter to the editor published today in the Arizona Daily Star. Here is the article he's responding to.